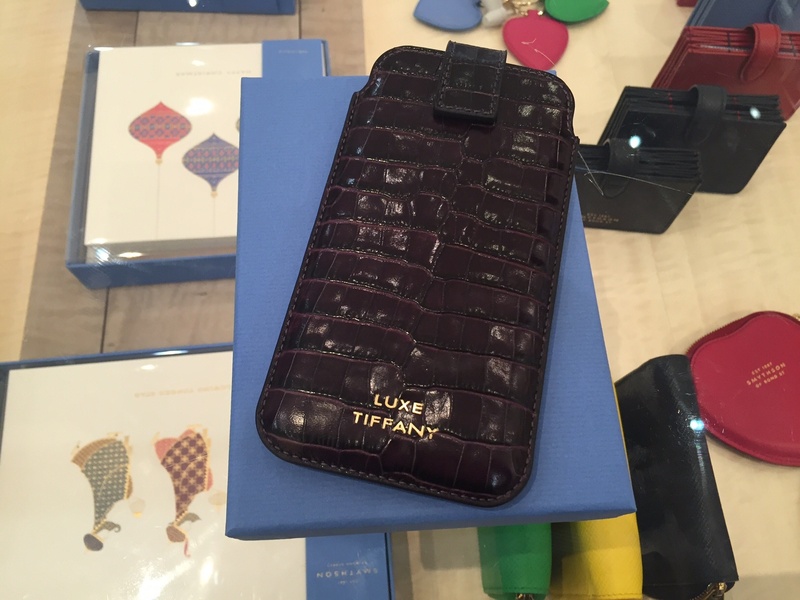 Nothing is more exquisite than a personalized note or a beautiful monogrammed diary. 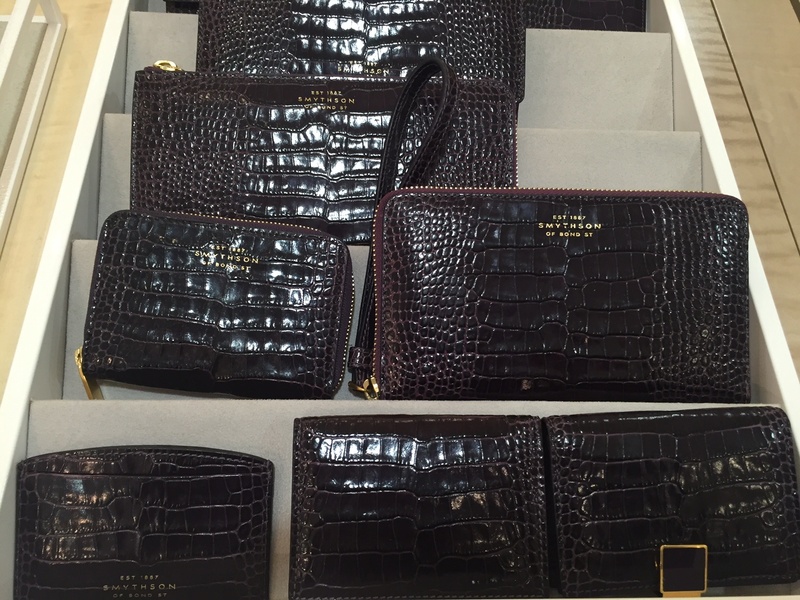 When traveling in London, I love to stop into Harvey’s Nichol’s Smythson boutique to peruse the new collections of leather goods and add something to my LUXE TIFFANY collection. 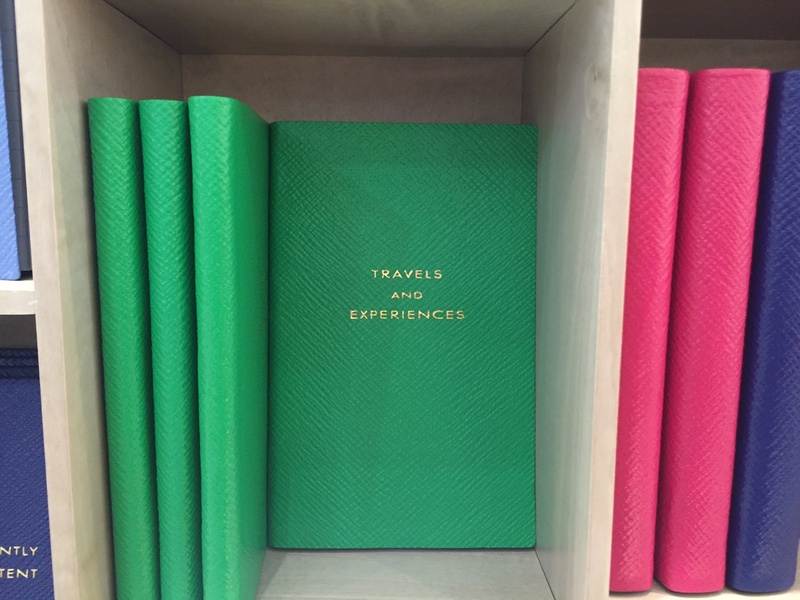 The writer in me gets giddy leafing through the sleek and colorful pieces. 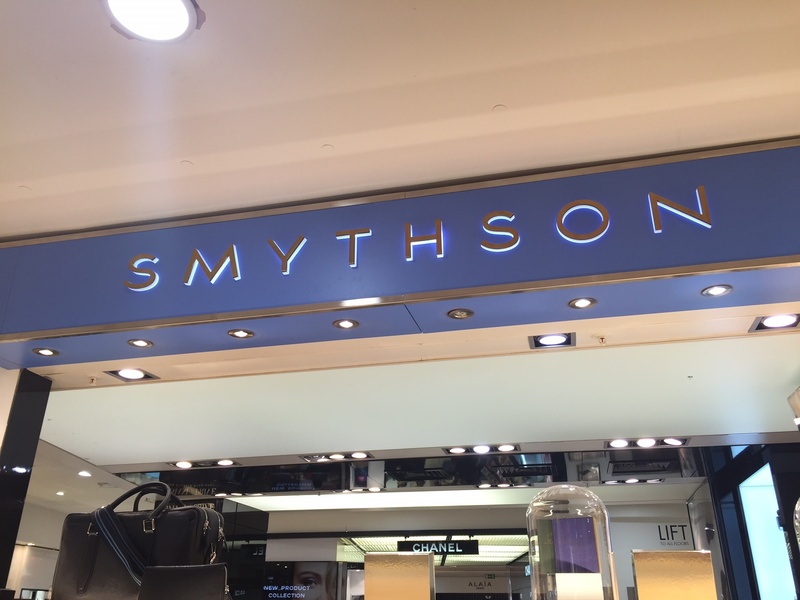 Smythson is one of Britain’s luxury brands that was established back in 1887. In the 1920’s, Smythson produced stationery for European Royalty and the Indian Maharajas. Today, celebrities such as Angelina Jolie and 007’s Daniel Craig are fans of the collections. Samantha Cameron, the United Kingdom Prime Ministor’s wife and businesswoman was once the brand’s creative director. 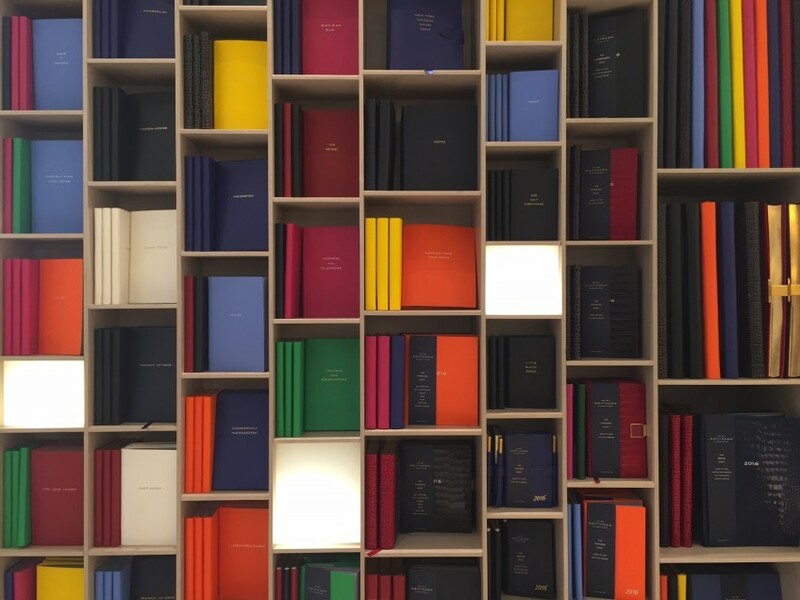 Smythson’s exquisite work has made it one of the most coveted purveyors of luxury personalized stationery and leather goods. With its classic monograms in metallic gold, silver and delicately stitched details, Smythson is classic and chic in both style and practicality. For the beautiful monogramming, the engraver delicately creates the gold foil stamp from the selected letters and motifs and carefully spaces them for the perfect print. 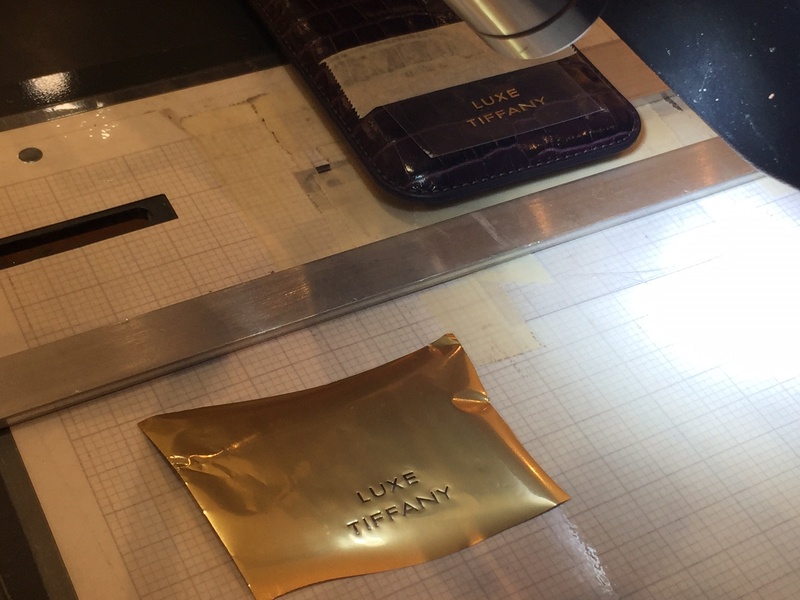 The leather is first stamped without the foil to create the indentation and then stamped with the gold in several repeat presses by the machine set between 115-120 degrees. She then polishes the final lettering with Vaseline for the perfect shine. Frank Smythson was the first to create a portable diary in 1908 that was both practical and elegant. It was known as the “Panama hat of books” for its pliability and fit inside a gentleman’s breast pocket with ease. 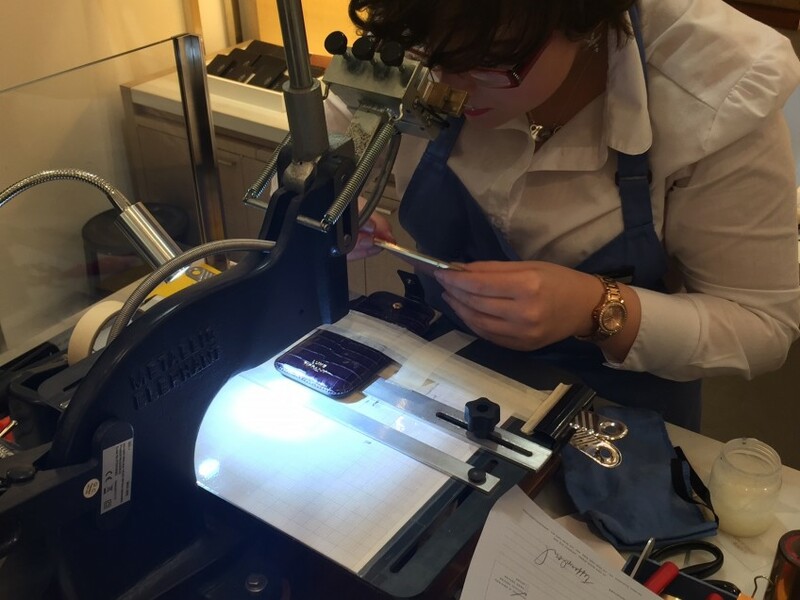 Stores are located in London (eight locations including the original 40 New Bond Street, Selfridges, Harvey Nichols and Harrods); Hong Kong, New York and Paris.